Purpose: To give black authors, books and those who support them a month in the spotlight. 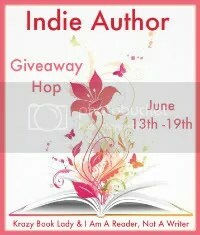 Before the hop the hosts site will open the link for entry. Your site can post anything related to the weeks topic. Your site must link to the host site and add the button to the post as well. 1st – 7th Black History Month Giveaway Hop: The prize has to be a book by a black author, or about black characters, or regarding black history. Gift cards and books of choice from the Book Depository are welcomed as well. 2nd – 4th Around Town: For these three days post must be about black history month events and/ bookish events in your city, state, or on the web. TOPIC IDEAS: Museums special programming, parades, school events, storytelling at the library, movie festivals, art shows, giveaways, online events. 5th – 11th The Business of Black Books: This week focuses business related topics pertaining to black authors. 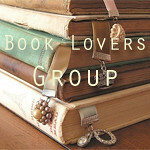 12th – 18th Black Love: This week focuses on black romance novels and love stories. Why join this hop? One to raise awareness of black authors and black topics in books. Two, to promote diversity in mainstream literature. Three, because we are giving a prize each week to one lucky blogger. Posted in Home and tagged black authors books, Black History Month, romance author, romance books, romance novels. Bookmark the permalink. Sounds like fun. I’m hoping to be able to participate the majority of this month. Great idea. i am glad you will be joining us Jade. I know your readers will enjoy it too! Looking forward to taking part is this in this hop. Yeah!! I’m glad you will be joining us. What a terrific event. Thanks for setting it up! You can count me in! I just read about this event on Joy’s blog. I’ll probably participate toward the end of the month. Thanks for hosting this. That would be great Vasilly! Thank you so much for participating with us! It’s going to be fun!